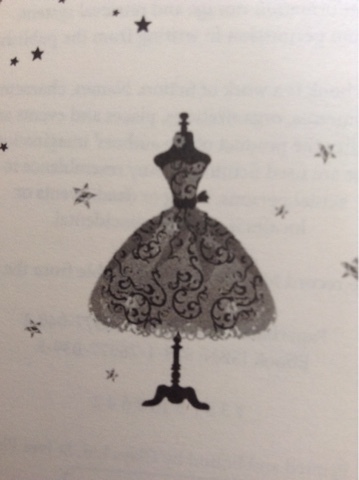 Loubee Lou Blogs: The Dress- Sophie Nicholls Book Review. 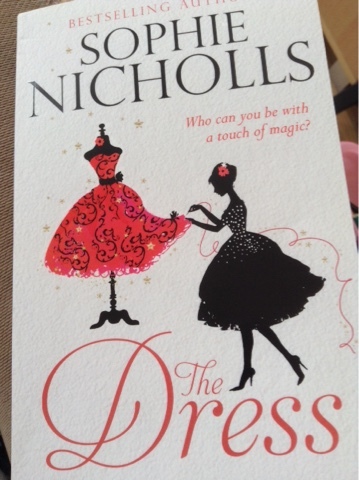 The Dress- Sophie Nicholls Book Review. Sophie Nicholls is an Amazon original best seller who originally launched this book as an E-book. It then hit the top 5 in 2012 and to date has sold over 160,000 copies. I don't want to write too much in this review in case I give away any spoilers so i'll make it short and sweet. I was drawn by the whole idea of the book. I loved the themes and was eager to explore them. This book explores so much more than just fashion. It includes discrimination, feeling like an outsider, growing up, love, loss, courage and -my favourite thing- magic. When I say magic, I don't mean voodoo or 'bunny out of a hat' magic. I mean everyday magic, The simple little blessings/joys that can be sprinkled into every day life. The book really highlights the importance of that spark that just helps us get through the day with a smile on our face. I really found Nicholl's writing style to be really right for me. I found her words so easy to digest which meant I could read the story very quickly while still taking in every single bit of it. The story was so easy to follow even with all it's content. The glorious descriptions of the vintage garments are laced together with the vivid imagery and use of colours to give the reader such a bright and beautiful image as you glide through the words on the page. It was so very easy to immerse yourself into Fabia's shop and include yourself in her and Ella's world. This book is a wonderful read and I would definitely recommend you pre-order a copy asap ready for it's release on the 28th of July! I can't wait for the sequels.